MaxiFlex Endurance is 25% Thinner - Then most foam nitrile gloves on the market while offering twice the mechanical performance. The 360° Breath-ability - Patented micro-foam nitrile coating offers 360° breathability, making it the most breathable glove on the market today. 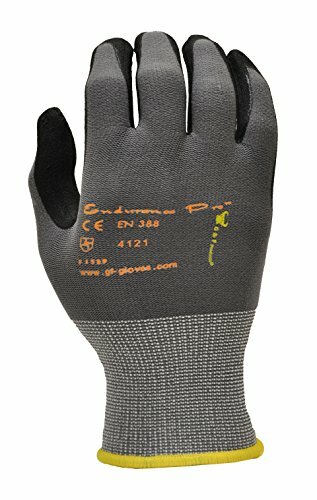 High Performance, tactile sensitivity, dexterity, and comfort make this glove one of the most popular gloves in a multitude of working environments. Applications: automotive, assembly, machining, horticulture and much more. 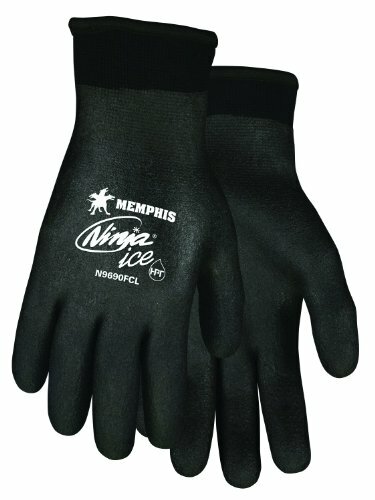 Ninja Ice, 7Ga Inside- 15Ga Outside L. Ninja Ice FC double layer glove. Made of polyvinyl chloride foam sponge palm and 100-percent nylon back. 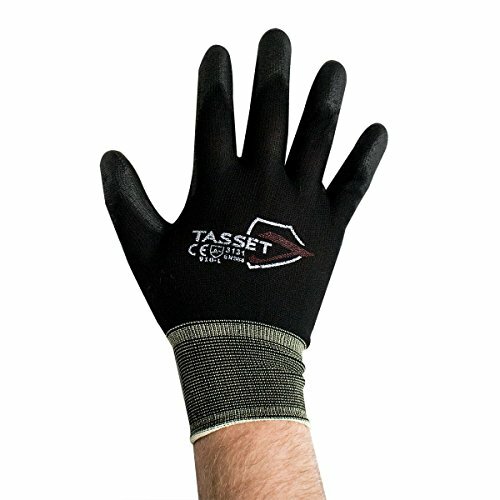 ATG 34-874XL MaxiFlex Ultimate - Nylon, Micro-Foam Nitrile Grip Gloves - Black/Gray - X-Large - 12 Pair Per Pack. 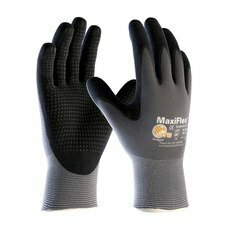 MaxiFlex Ultimate by ATG, black micro-foam nitrile coated palm and finger tips, 15 gauge gray seamless knit nylon with Lycra liner. Used in applications which require a high degree of dexterity and sensitivity, especially where grip is important, such as handling small oily parts and components, general assembly, machining, micro-engineering, automotive components, painting, horticulture. 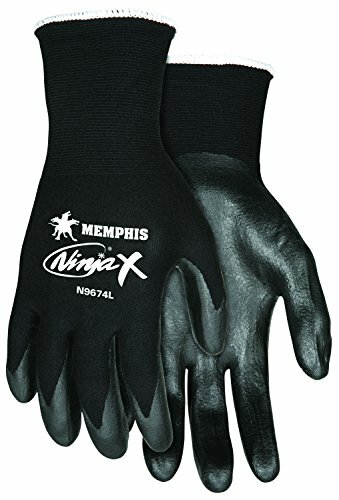 Ninja-X Maximum Dexterity Gloves,Excellent dexterity, Great for Construction,Electrical Work,Landscaping, and Material Handling,Large size. Gray Nylon Gray PU 13 Gauge XS. These 13 gauge nylon knitted shell gloves are made of 100-percent nylon. 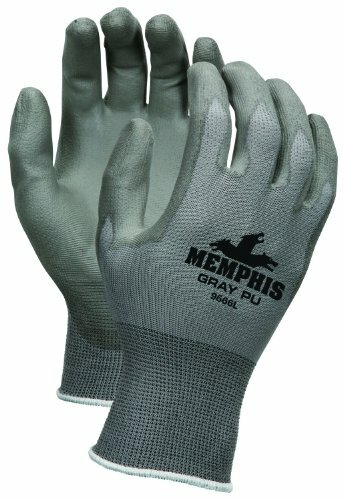 These gloves feature gray pu coated palm and finger and gray nylon shell. 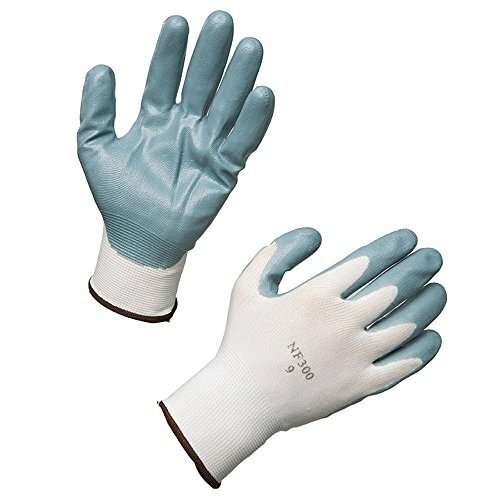 Keep your operation safe and sanitary with polyurethane-dipped nylon gloves from UltraSource. 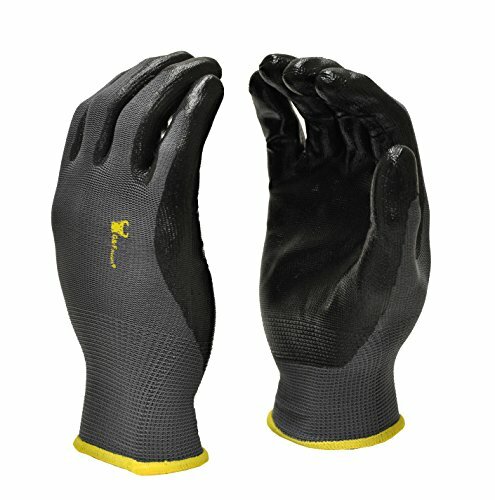 Ideal for material handling, gardening, mechanic/electrical work, operations in cold environments, and handling small parts, the durable 15-gauge nylon material is highly tear resistant and offers slight chemical resistance. The nylon/poly blend is non allergenic and contain no latex or donning powder. The polyurethane coating helps provide confident grip while maintaining tactile sensitivity. Ninja Lite, 18 Gauge Nylon Liner. 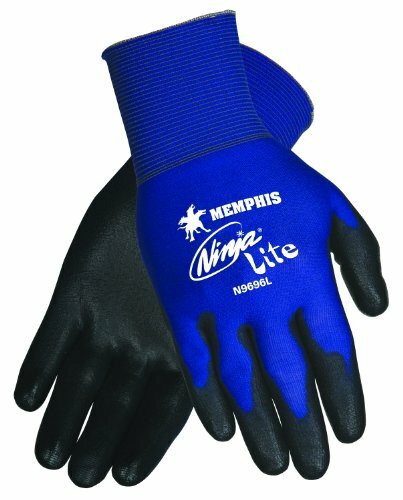 Ninja Lite athletic grade gloves. 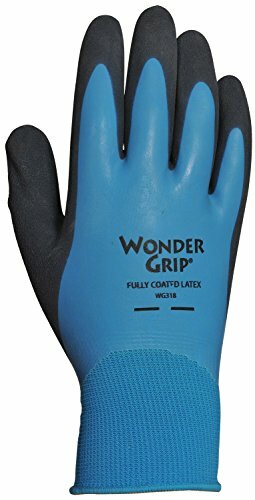 Made of black polyurethane dipped palm and fingertips; blue nylon back.